Club members use this site to communicate and organize information. Visitors can learn more about our club and Lions International. Lions are the world’s largest international volunteer service organization. Lions are an international network of 1.3 million men and women in 202 countries and geographic areas who work together to answer the needs that challenge communities around the world. Known for working to end preventable blindness, Lions participate in a vast variety of projects important to their communities. These projects range from cleaning up local parks to providing supplies to victims of natural disasters. Beginning in 1917, the association of Lions clubs has provided millions of people with the opportunity to give something back to their communities. 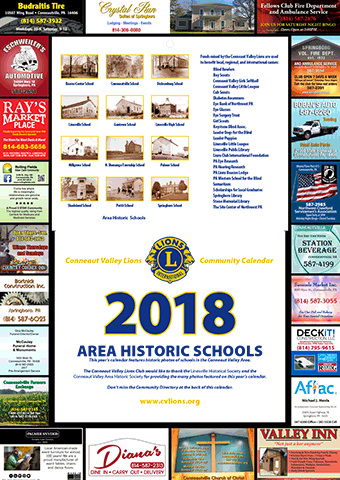 The Conneaut Valley Lions Club is looking for people looking to serve both their local and internation communities. It only takes a small amount of time and money to make a difference. Even if you’re not ready to join, please support our fundraising efforts.